The Hindu right wing organisations are seeking legal help to rectify this categorisation. 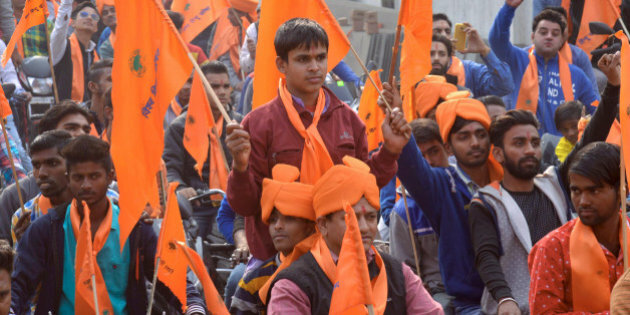 New Delhi: In the latest edition of the Central Intelligence Agency’s World Factbook, Hindu right-wing outfits Bajrang Dal and Vishwa Hindu Parishad (VHP) have been categorised as ‘religious militant organisations’. The CIA World Factbook is an annual publication available on their website which contains information collected by the agency on different countries. Primarily developed by the CIA, it also includes information from other governments. The Bajrang Dal and VHP have been associated with incidents of communal polarisation. 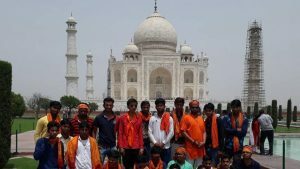 Recently, on June 12, VHP members vandalised a 10 x 11 foot steel gate at the west entrance of the Taj Mahal in Agra. The gate, which was government property, had been installed by the Archaeological Survey of India (ASI). The organisation claimed that the gate allegedly blocked access to the Siddeshwar Mahadev temple. Reacting angrily to the report, right wing organisations asserted that they are simply a cultural and nationalist group. “Why would any intelligence agency cite our organisations as being militant. Who gave them the right? We have international branches as well but we’ve never troubled anyone. We are nationalists. We will see what can be done to get this right,” said a Bajrang Dal leader. Khemchand Sharma, former national convenor of BJP’s Samvad wing, rejected the CIA’s assertions and called it “fake news” on Friday, he said legal action would be initiated against the agency. Leaders of the outfits have asked the Central government to take appropriate action. “The CIA should focus on their country instead of India,” said Bajrang Dal convenor Prakash Sharma. “The CIA is responsible for most terrorist activities around the globe. The way they promoted Jihadis in Afghanistan and Iraq. Their role has always been that of a terrorist organisation. A terrorist has no place calling someone else one,” he added. The Factbook also includes the All Parties Hurriyat Conference in Kashmir as a “separatist group”, the Rashtriya Swayamsevak Sangh as a “nationalist organisation” and the Jamiat Ulema-e Hind a “religious organisation”.